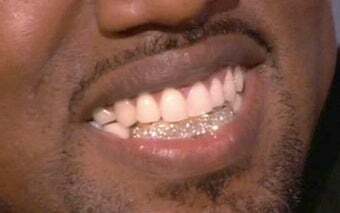 Dentist On Kanye's Diamond Teeth: "Good Luck With Oral Hygiene"
Dentists say Kanye West's recently-revealed diamond chompers may create chewing problems and damage other teeth. One expert warns: "No peanut butter brittle, no opening a can of beer with your teeth." But those are two of Kanye's favorite things!